As a housewife and a mother, everyday she will be busy with anykind of routines, such as doing laundry, cooking, preparing meals, cleaning the house are just to name a few. 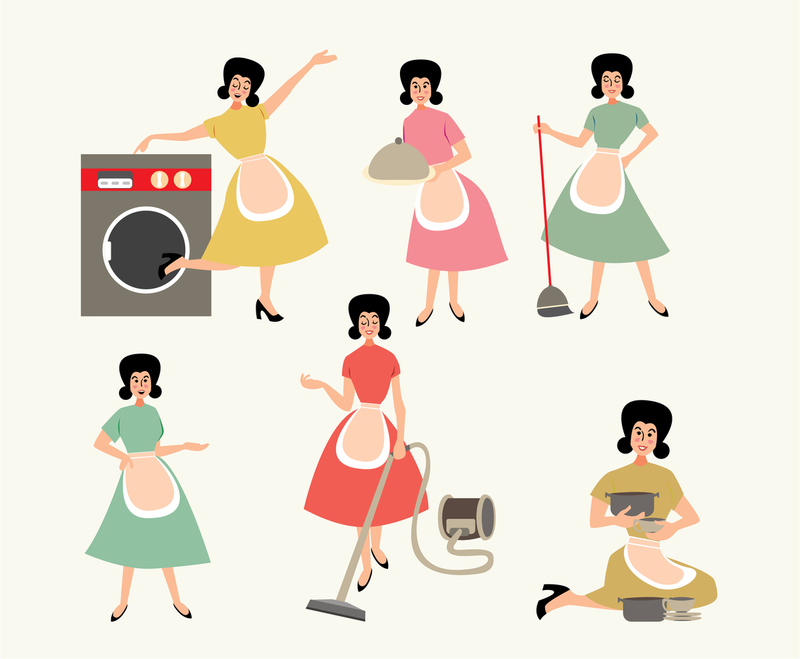 You may need illustration about housewife and her busy life and for that you can find many vector illustration in this set. The illustration includes many kind of routine activities of a housewife and you can use all of them as infography, poster, or flyer design in that requires retro or vintage style.